The easiest solution I have come to is to focus on the things I can control the most: Improving my quilting and sewing skills. Plus I absolutely love learning, seriously if I could afford to be a full time student for the rest of my life I totally would. The quilty things I really want to tackle learning and improving on this year are free-motion machine quilting, curved piecing, and designing my own patterns. 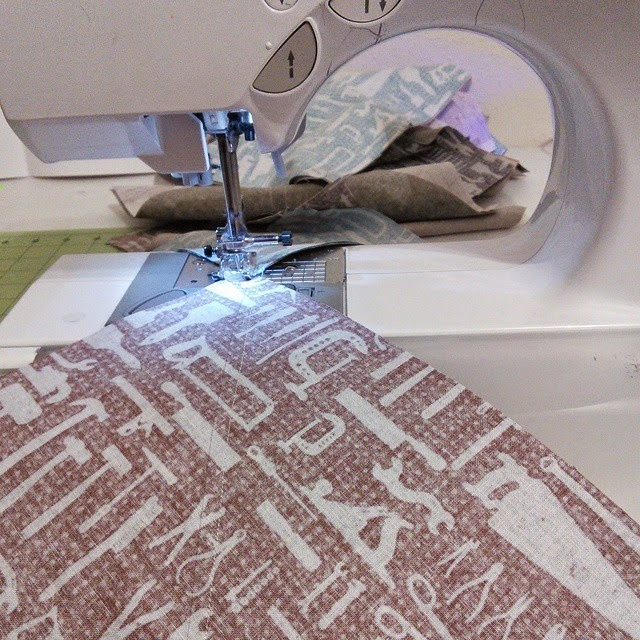 I have always hesitated doing my own free-motion machine quilting because my machine is so tiny. The biggest quilt I have free-motion quilted on my machine is my Craftsy 2012 BOM and it is only about 50" x 50". Honestly one of my long term goals is to eventually get my own longarm machine, but that is a big financial and space investment, and I currently cannot commit to either. (Mama needs a new car first). I have several minis and pillows on my to make list for 2015, so I al going to try and practice several different types of fmq on those. Next on my list is overcoming my fear of curved seams. I have never made a quilt block that involved curved seams. I have actively avoided them, which I find kinda funny because I started garment sewing long before I started quilting and I can sew an armhole or sweetheart neckline without breaking a sweat. I think the fact that those two things are not supposed to lay flat is what makes it easier. So this year I am going to tackle quilty curves. I think I want to try out the Quick Curve Ruler and one of the patterns that goes with it, probably the Metro Rings. I love that the Sew Kind of Wonderful patterns look super complicated but they are (so I have heard) relatively easy to put together. We shall see... I've got to work up my confidence with curves so I can finally tackle making a Jen Kingwells Steampunk quilt. I already have the pattern and templates, I just need the courage. The last of my quilty goals for the year is to start designing my own patterns. I have always had ideas floating around in my head, and I finally want to get them on paper and figured out. My biggest hesitation has been making sure the quilt math is correct. I can draw designs for days, but figuring out all the numbers is what terrifies me. As far as sewing goals go, I want to focus on making myself more everyday garments. I loved this post over at Sew Mama Sew about how to transition to a mostly handmade wardrobe. When I started sewing in 2004 it was because I wanted to make clothes for myself, and I would really love to get back to that. I have tons and tons and tons of patterns, and I even have the fabric ready for several of them. So my goal is to make myself at least 1 garment every month. I think that is definitely doable, heck they make like 40 garments in a month on Project Runway! The first one on my list is this pattern from Simplicity. I'm going to make the main dress featured in the photograph to wear to a wedding for a friend of mine. I already have all of the materials I need, now I just need to get to work! So those are my quilty and sewing goals for the year. I know they are probably going to change and adapt as the year progresses, but I am feeling good about where I am starting out. What goals are y'all working towards this year? I appreciate your honesty about needing courage. I have wanted to learn appliqué for a few years but fear failing. I'm going to tackle it this year! Sounds like a good list of goals! 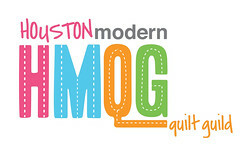 I'm going to attend the Angela Walters workshop -- and am looking forward to finally meeting some HMQG people in person! I somehow randomly found your blog (hi! hehe) and was wondering if you have any sewing tips for beginners. I got a sewing machine for Christmas and I cannot wait to use it - but I don't know where to start! You have great goals to continue improving. I also love learning, like you!